The Plateau St-Joseph is located in the northwest part of Sherbrooke close to the intersection of highways 410 and 10 (autoroute des Cantons-de-l’Est). The vacant parcels of land available for construction are located in the quadrant formed by the Monseigneur Fortier boulevard, the Plateau St. Joseph boulevard, the Josaphat Rancourt boulevard and another street will be built behind the Centre de foires which will join the Monseigneur Fortier boulevard. 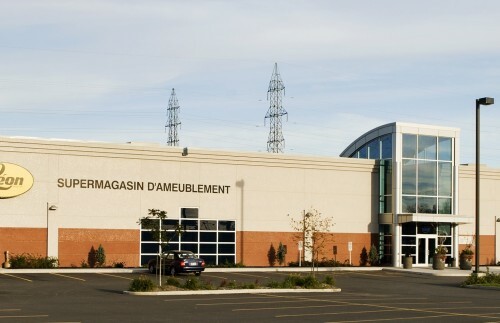 This regional supercentre, a « Power Center », was set up in 2004 and several businesses were established there, notably WalMart, Canadian Tire, Home Depot, Brault et Martineau, Brick, Leon's Furniture, Michael's, Structube, Mark's Work Warehouse, EB Games and Sherbrooke Exhibition Centre. Located at Plateau St. Joseph, a regional supercentre at the angle of highways 10/55 and 410 and Monseigneur Fortier Boulevard.